While the government agencies and economists continue to publish strong GDP figures, they seem to overlook how much debt it took to produce that growth. Or should I say, the “supposed growth.” The days of adding one dollar of debt to get one dollar of GDP growth have been long gone for more than 40 years. And, as global debt has increased, it has forced governments to lower interest rates. Yes, it’s really that simple. I get a good chuckle when I hear analysts talk about rising interest rates to 10-15%. If the U.S. Government interest rate on the Treasury Bonds increased to just 5%, Uncle Sam would be paying over a trillion dollars a year just to service the debt. So, no… we aren’t going to see 10-15% rates again. Well, we could… but, most of the global debt would have to collapse or be forgiven. 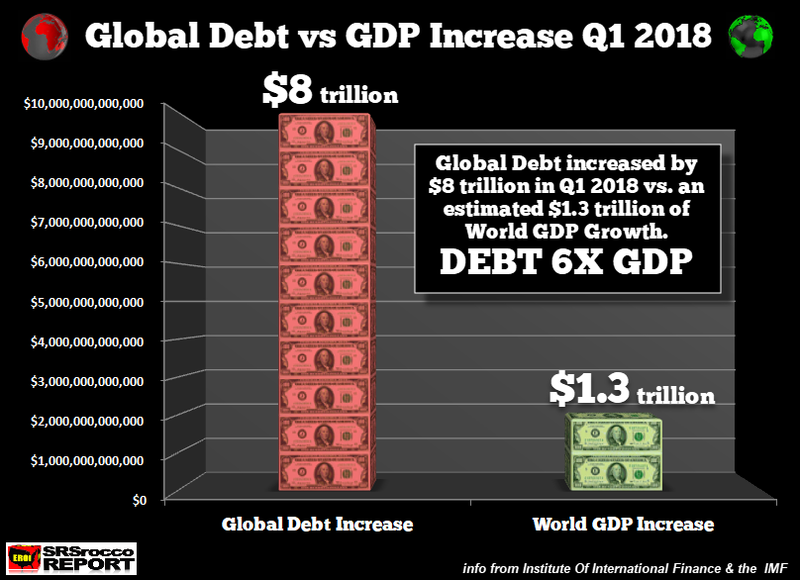 Unfortunately, if global debt vaporizes or is forgiven, then the entire economy collapses as well. We must remember, GDP growth is also driven by oil production growth. There is no way in HADES that the oil industry can fund future production with 10-15% interest rates. IT JUST AIN’T GONNA HAPPEN. Why? If it weren’t for the Fed dropping rates down to nearly zero, the Great U.S. Shale Oil Ponzi Scheme and the six million barrels per day of unprofitable shale oil production would have been a pipe dream. I can assure you that the shale oil industry could not fund operations or service their debt with 10-15% interest rates. Most shale oil companies are paying on average between 4-5% interest to service their debt. If the companies’ interest rates double or triple, then it would make it extremely difficult to service the shale industry debt that is estimated to be $280-$300 billion. However, this article isn’t about the about the Great U.S. Shale Ponzi Scheme; rather it’s about the global debt bubble propping up the economy. According to data from the IMF and the Institute of International Finance, global debt increased four times more than the GDP growth during the first quarter of 2018. The IMF forecasts Global GDP to reach $84.8 trillion in 2018 and the Institute of International Finance reported total world debt increased by $8 trillion in the first quarter of 2018. Thus, I estimated that Q1 2018 GDP growth was $1.3 trillion, one-quarter of the $5 trillion increase from last year. Now, this is just an estimate as the quarterly GDP dollar figures aren’t released, but the debt is still rising at least fives times more than the GDP. It is quite amazing to see the global debt increase at such a rapid rate. 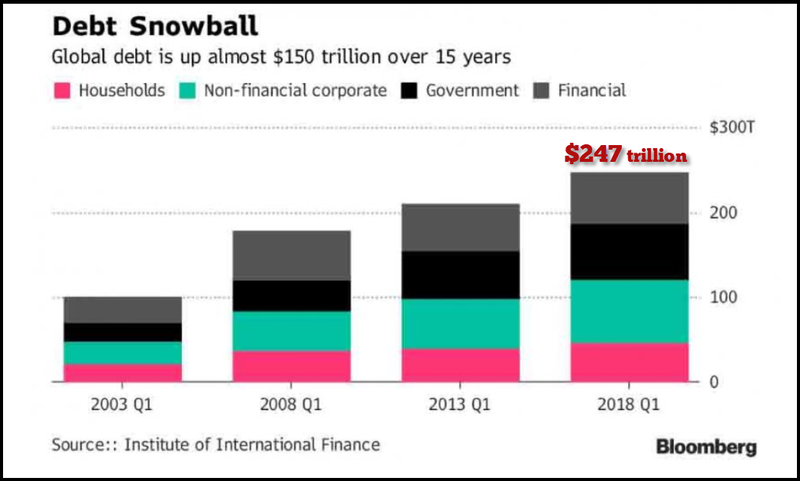 The following chart (courtesy of Bloomberg), shows how much the global debt has grown over the past 15 years. 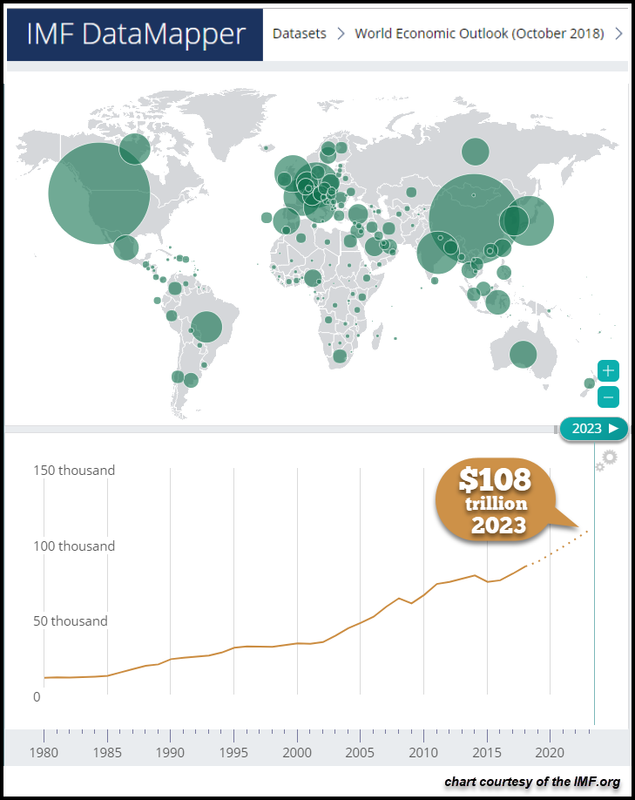 However, since Q1 2008, global debt has jumped by more than $70 trillion. Thus, the average annual global debt increase is approximately $7 trillion. So, to see world debt balloon by $8 trillion in the first quarter of 2018 shows just how much more the Central Banks are motivated in propping up the markets. Now that the U.S. Treasury has to pay more than a half trillion just to service its debt, I hardly doubt the Federal Reserve is going to allow rates to rise above 3% anytime soon. According to the TreasuryDirect.gov, the interest expense of $31.7 billion paid for October jumped by a stunning 30%, compared to $24.4 billion during the same month last year. And again, this is just the additional U.S. Government interest expense for one month. Unfortunately, Americans have become oblivious to the staggering amount of debt in the system. Furthermore, the public and investors are also immune to the tremendous volatility taking place in the markets. 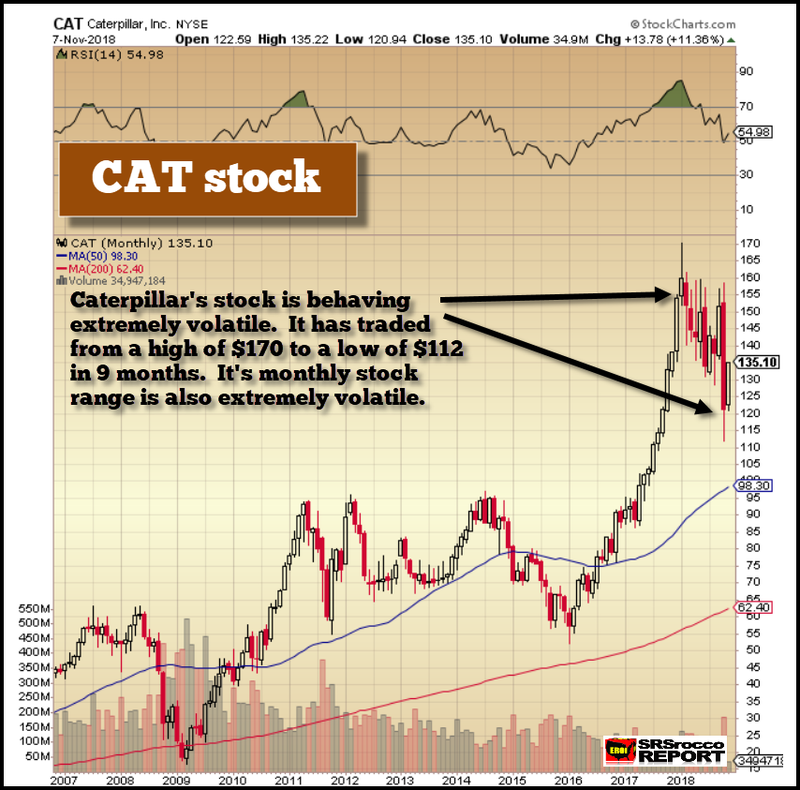 Caterpillar hit a high of $170 at the beginning of the year and a low of $112 last month. That is a 34% correction in a little more than six months. Moreover, if you look at the candlesticks on the upper right-hand of the chart, you will see the tremendous volatility not experienced in the past ten years. In crazy October, Caterpillar’s stock traded between a high of $159 and a low of $112. That is a $45 movement from one of the leading manufacturing blue-chip stocks in just one month. Caterpillar is not supposed to trade in this manner, but this is the NEW NORMAL in a market that is about to go HOG WILD. While the broader markets corrected higher from the lows last month, investors should not think the worst has passed. Oh no… the worst is yet to come. Nothing goes up or down in a straight line, but this economic cycle is nearly ten years long in the tooth and at some point will need to correct back towards reality. Caterpillar will likely have to fall back to its 200 Month Moving Average of $62, which is more than 50% lower from where it is trading today. As I have shown in prior articles, the world has been adding between 4-5 dollars of debt for each new dollar of GDP growth. If we assume the same with continue over the next five years, then world debt will have to jump by $100 trillion. 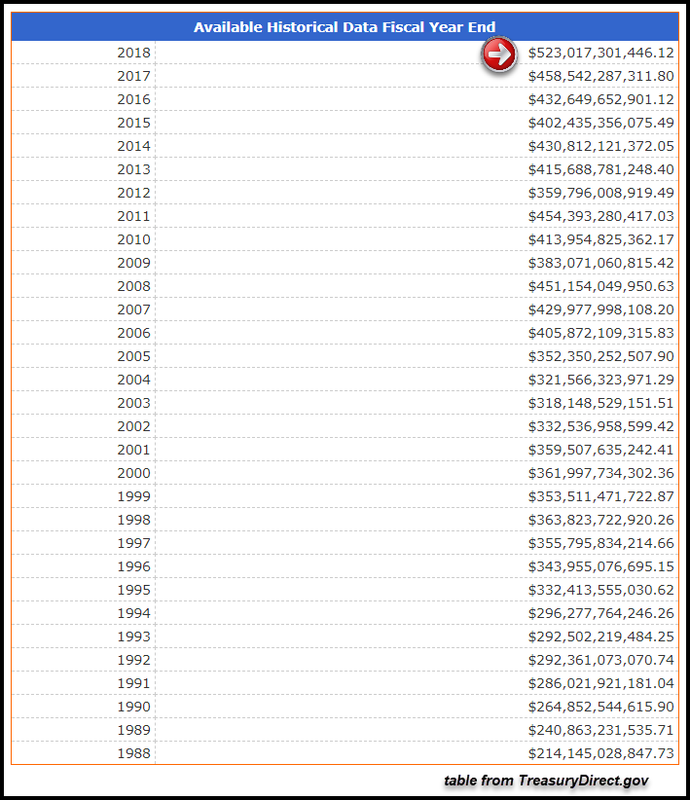 Now, if we also consider a conservative 3% interest rate to service this $100 trillion of additional debt, the world will have to pay a mind-blowing $3 trillion a year, JUST TO SERVICE THE NEW DEBT….. LOL. Lastly, the Central Banks will continue doing what they do best, and that is print money and kick the can down the road. Unfortunately, the debt and interest expense are getting to a level that is not sustainable for another decade. And if we add the coming disintegration of the U.S. Shale Oil Industry, Americans won’t have the growing energy supply to drive GDP growth. This is another factor not taken into consideration by economists.